Why use video interviews for recruitment? 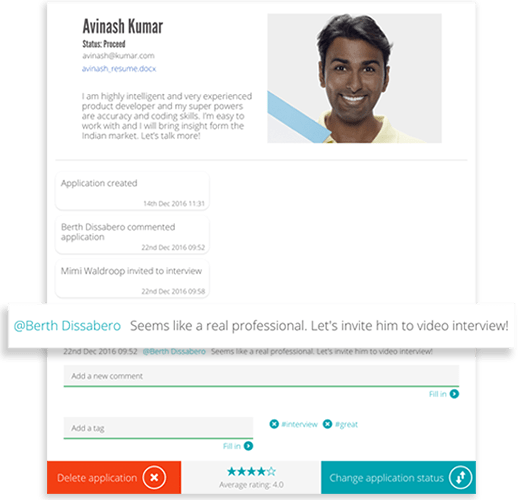 Instead of asking candidates to send a random video, to achieve the best results, you should present few specific video questions related to the open position. Your video will be an example for candidates and it doesn't have to look like it's done by a movie star. 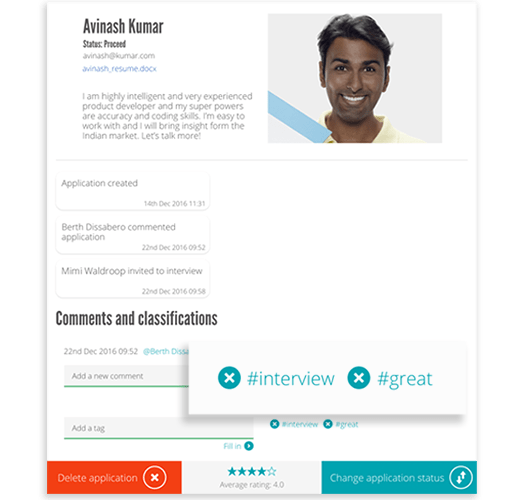 Screen candidates’ video replies and see candidates’ personality beyond paper. Book face to face meetings with only the top candidates. Dashboard view gives you and your colleagues an immediate understanding of how your recruitments are proceeding. 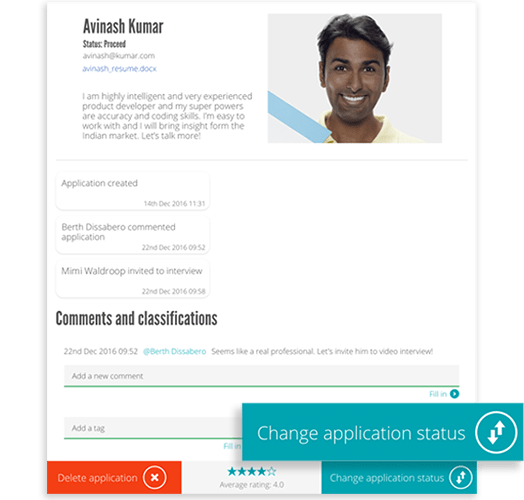 Spot the new applications, communicate with the candidates and monitor progress of your recruitments with ease. Still wondering what exactly are video interviews? Take a look at our guide to learn nearly everything you need to know about video interviews! 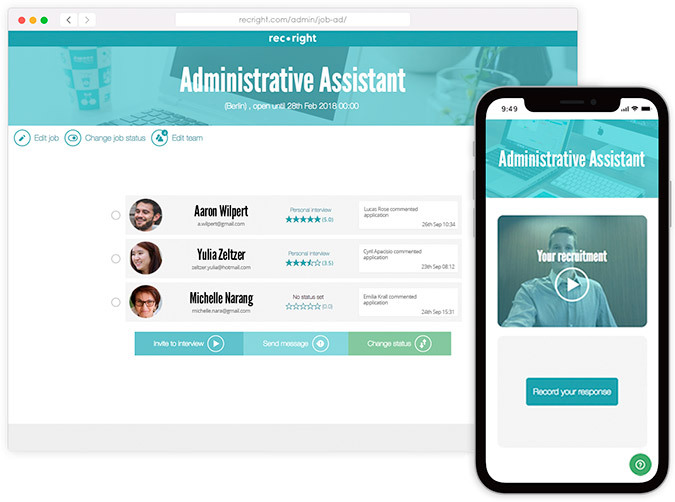 Why use RecRight’s video interviewing platform? Meet only the most suitable candidates and find the best cultural fit with videos. Get up and running in minutes. The tool will guide you through the process. Reach the candidates irrespective of time and place. Overcome time-zone challenges. 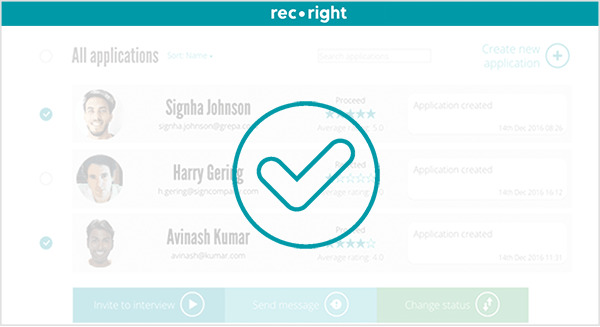 We asked our customers and they told that using video interview saves half of their time used in recruitment. We take pride in our customer support. We’ll be available to you and also to your candidates if they wish for assistance in replying. Your data is safely stored in the EU area. We are following security standards and take these stuff very seriously. 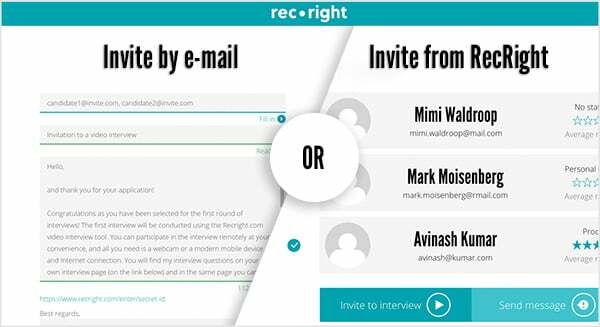 Single-question video interview can easily be embedded to your company website. See an example here.